3-D Monster: Buy a Shirt & Get Choked Out by G.I. Joe's Very Own SGT. SLAUGHTER!! For a Limited Time Only! 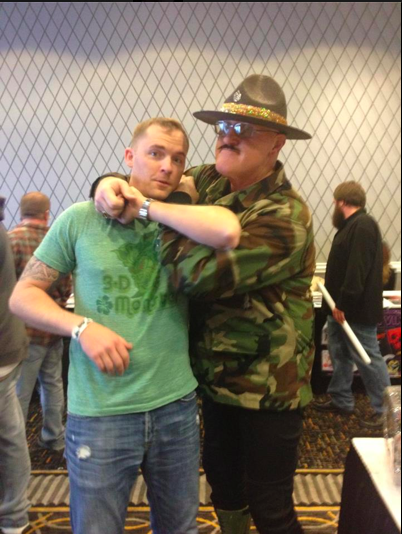 Buy a Shirt & Get Choked Out by G.I. Joe's Very Own SGT. SLAUGHTER!! For a Limited Time Only! Many thanks to my buddy Bill Webster over at Veggiemacabre for posting this pic!